30.03.2015. In recent edition of The New York Times, self-described ‘Frugal Traveler’ Seth Kugel has written about his unique experience in Georgia – from his stay with a local guesthouse to sampling Georgian wine from traditional qvevri (clay pots), eating an abundance of delicious food and being taken on personal tours visiting monasteries and vineyards in Georgia’s Kakheti wine region. 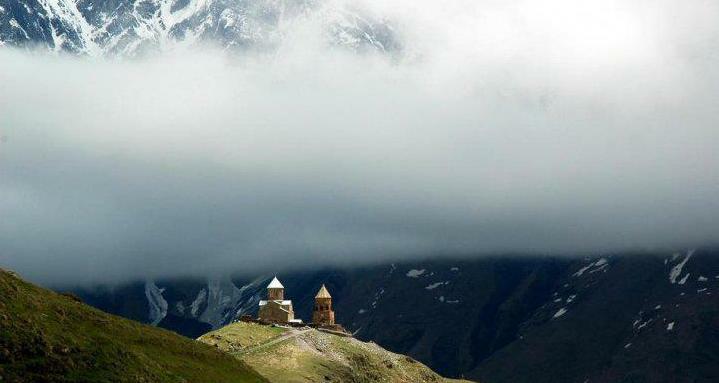 Published in the Travel section of The New York Times online and print editions, Kugel’s piece lovingly describes the friendliness of the Georgian people, the magnificence of ancient churches and the affordability of his Georgian adventure – essential for any frugal traveler, he says. 20.03.2015. You would never have known it was 3 a.m. in Georgia's Tbilisi Airport when our Lufthansa plane landed. Flights were arriving and departing, passport control was packed and the airport was brightly lit. In fact, most air service in and out of Georgia takes place in the middle of the night, and locals are clearly used to these arrivals, for, like the airport, the Holiday Inn Tbilisi was fully staffed and busy when I checked in. Admittedly, these quirky arrival times, along with a few other drawbacks we encountered in the days to follow such as long stretches of roads without basic amenities and an unsophisticated tourism infrastructure, could be an issue for the casual or inexperienced Europe visitor. For the right traveler, however, these inconveniences are minor in return for what Georgia has to offer: ancient castles and churches as beautiful as anything in Italy and France, but without the crowds; a wine culture of increasing international renown; a stellar cuisine; and a warm reception from locals, who seem to have hospitality in their DNA. 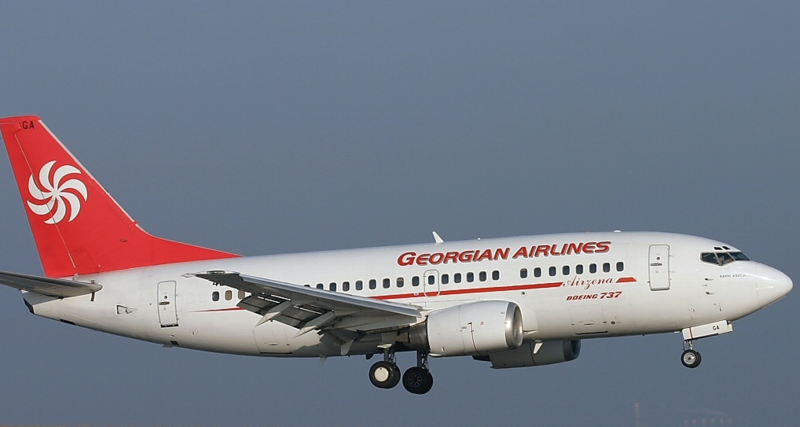 "We know this is an unusual trip," said Max Johnson, founder and head of product development for the Great Canadian Travel Co., which, together with the Georgian National Tourism Administration and Living Roots, an inbound travel company, arranged the itinerary. "We know travel agents may have only one or two clients who are looking for new, interesting programs like this, and we focus on them," he said. The biggest draw for most of us, and the reason Georgia is slowly making its way onto mainstream radar, is its wine, which we sampled during a prelunch wine tasting at Vino-Underground, a wine cellar in Tbilisi. 14.03.2015. Although Malaysians are not well aware of the tourism potential of Georgia, a former Soviet Union state, its charge d’affaires ad interim Levan Machavariani is optimistic that a slew of tourism-related programmes to be held this year will entice more Malaysians to visit the country. He said last year, Georgia received over five million foreign visitors, more than its population of 4.5 million, but only about 700 Malaysians visited the country. “Last year, we had a little over 700 Malaysian visitors coming to Georgia, which was actually an increase in comparison to the previous years, but I believe it can be further improved and we are working towards it,” he told in a recent interview held at the news agency’s headquarters. To entice Malaysians to visit Georgia, which is home to over 10,000 monuments of archeology, history, architecture and art since two million years ago, the embassy has planned a number of events including taking part in the European (Europe) Cinema under the European Union National Institute for Culture (EUNIC) project and in International Cinema Festival to be held in Kota Kinabalu in June. 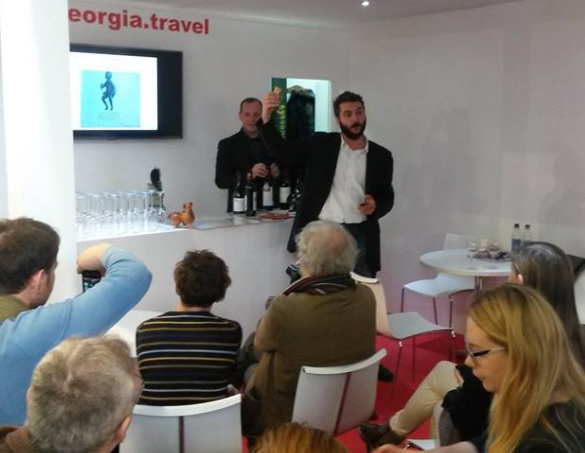 13.03.2015 (Hvino News) On March 7 the Georgian wine heritage presentation was held at ITB Berlin - the world’s leading travel show. Unique qvevri wine-making method, prehistoric wine artifacts, as well as longest and unbroken wine culture facts were presented by Davit Jishkariani, member of Georgian Wine Club. The event was supported by Georgian Experience and Georgian National Travel Agency. Presentation was followed by tasting of Alaverdi Monastery wines. ITB visitors, wine tourism professionals as well as students from Faculty of Tourism studies at University Primorska (Slovenia) attended the event. "Interest was quite high, especially from the tourism management students from Primorska University. Generally, we should better promote our unique wine tourism potential", - noted Davit Jishkariani. 11.03.2015. Kakheti - Georgia’s oldest region and the homeland of Georgian wine has formed a close bond with the Egyptian city of Luxor, which was once the capital of the nation. An agreement to recognize Kakheti and Luxor as twin regions, which emphasized bilateral collaboration in tourism, cultural and agricultural sectors, was signed yesterday. Luxor, formerly an ancient Egyptian capital, is today known as the world's greatest open-air museum. The area boasts a range of historic scenery and ancient temples including the tomb of Tutankhamun in the Valley of the Kings, the majestic temple complexes of Karnak and Luxor, and various cruises along the Nile. The Egyptian side noted thousands of tourists from all around the world arrive annually to visit these monuments, contributing greatly to the economy of the modern city. Meanwhile Georgia’s eastern Kakheti region is the country’s top wine-producing region. 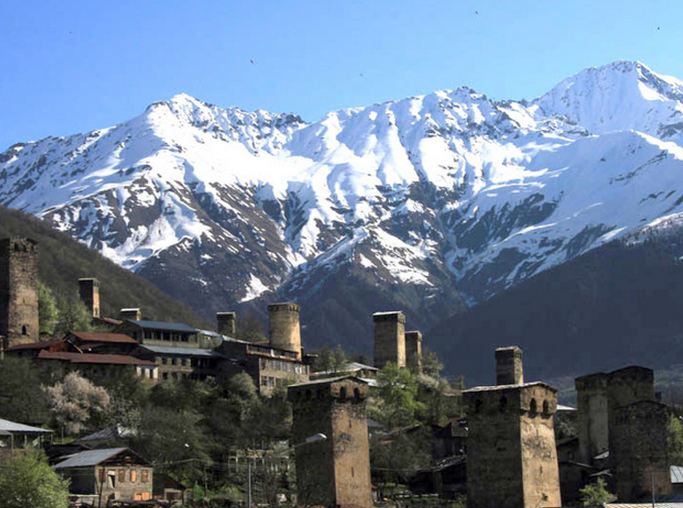 Kakheti is also rich in history and was an independent or semi-independent kingdom for long periods. With lots of historical places and beautiful churches, castles and mansions, Kakheti is an attractive destination, said the Georgian side. 02.03.2015. It is not news that many counties build their economy and strategy mainly on tourism. The hospitality sector plays a huge role in a country’s further development and assists in changing its essence - moving from the developing country’s ‘list’ to the developed. Georgia’s strategy and vector is mainly correct but the country still needs improvements in many areas. a) Advertisement - Georgia used to have nice ads that were actively distributed in many EU countries. I consider this practice necessary to be continued, though expanding the area of distribution. Currently Georgia could be very interesting for the U.S., the central and eastern part of the EU, and our neighbors (mindful of the conflict in the north though). An international ad team can also be hired and would be proved to be a worthy investment.